This petite pleaser packs a real punch! 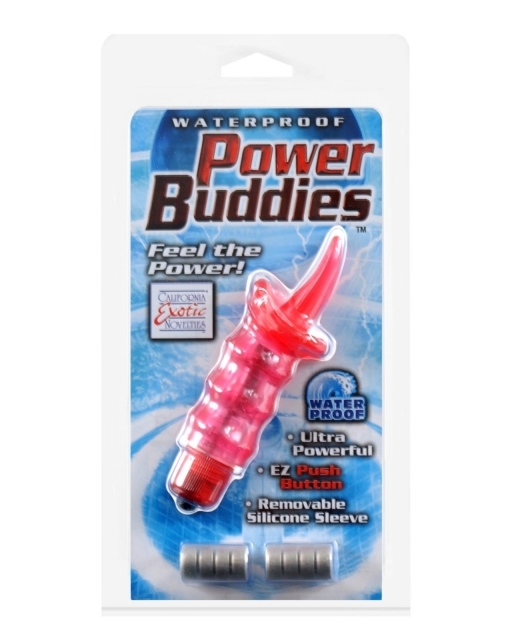 The waterproof Power Buddies is made of Silicone. The removable 2.5" x .75" bullet can be placed in the sleeve and with the push of the button, intense thrilling vibrations will course through the entire vibe. Requires four watch size batteries, eight are included for your convenience. The sleeve has a soft teasing tongue for that ultimate thrill. A new buddy for the bath!Takes AG13 or LR44 batteries.